Back in August my daughter booked a car rental through the Gomarbella Cartrawler Booking Engine for a friend’s wedding near Cork in Ireland. Booking only three weeks ahead at the height of summer she was pleased to get a five seater car from the Opel Astra or similar group for only €176.05 for five days. This worked out at a car rental fee of €35.21 per day. This included an airport fee, breakdown assistance, unlimited mileage, tax, collision damage waiver (CDW), theft waiver (TW) and third party liability protection. She also took out the collision damage waiver insurance offered as part of the Car Trawler rental car booking process for a separate fee of €28.56. As I said before it all looked like a good price considering the late booking. Just before leaving Marbella where she had been staying with us my daughter found she had mislaid her credit card. It wasn’t a problem as my wife was travelling with her and our two grandchildren and she would take her credit card to produce at the rental desk. The flight went fine (I stayed at home) and 353 Car Rental in the Terminal at Cork Airport was easy to find, sandwiched between Europcar and Avis. The 353 rental agent at the desk started ticking boxes on a form at the rental desk and asked my wife for her credit card and to sign the form. Distracted by the grandchildren and thinking that she was paying for the actual car rental, she handed over the credit card and signed in good faith. OK I can hear you saying, she should have looked at the small print before signing. I do agree with you but as an online car rental agent, I am concerned that this could be happening to other car renters. 403.22 Total Average daily car rental now €80+ per day. I’m not happy about this because it might well be happening to my other clients in different places so I wrote to 353 Car Rental at Cork Airport to ask for a copy of the insurance document that my wife signed. I wrote last week, I haven’t had a reply yet but I’ll keep you up to date on what happens! 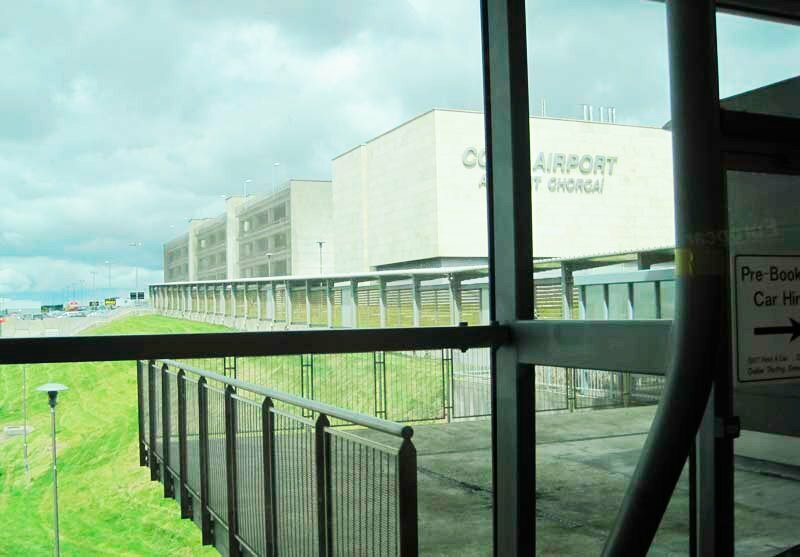 In the meantime as part of your Gomarbella Car Rental booking process, sign up for collision damage, don’t be pressured into signing anything at the 353 Car Rental desk in the terminal at Cork Airport and if you feel you must sign – read the small print first! Update: I did get a reply from 353 Car Rental at Cork Airport but no refund. Moral of the story is – don’t be hurried at the hire car collection desk, read the small print carefully and don’t tick any boxes just because the car rental agent attending you tells you to!